Back in December, SkyTeam announced that Garuda Indonesia would be joining the alliance in March, though given Garuda’s until-recently spotty record, the actual join date that was set for March 5 seemed like more of an estimate. But lo and behold, March 5 came, and SkyTeam posted the announcement that Garuda is now officially the 20th member airline of SkyTeam. Garuda is now officially a member of SkyTeam. 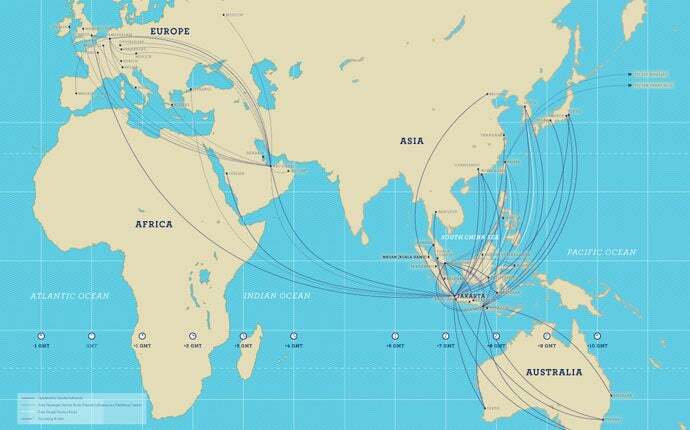 Per the announcement, Garuda’s entry adds 40 new destinations to SkyTeam’s network for a total of 1,064 destinations. 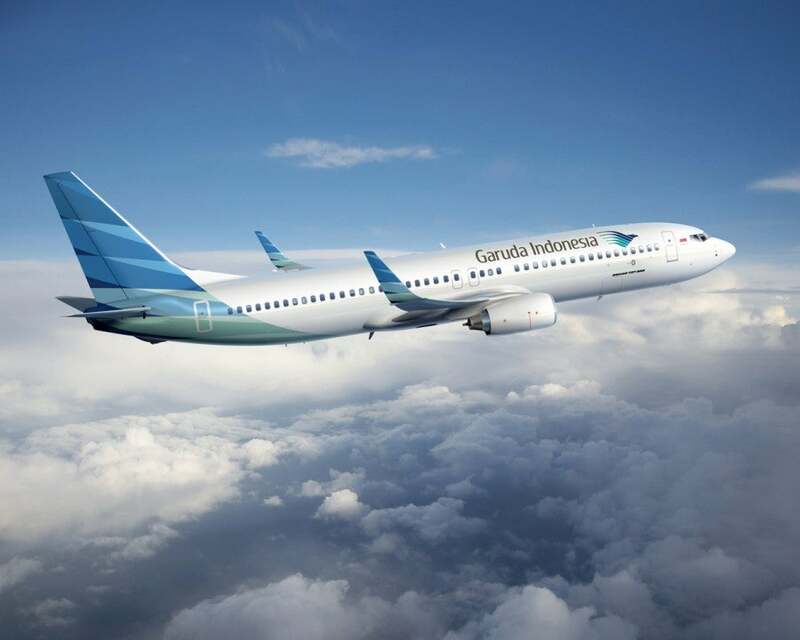 After a terrible record of flying in the 1990’s and 2000’s including several crashes that got it banned from European air space from 2007-2009, Garuda has been hard at work over the past several years revamping its image, buying a new fleet and forming relationships with SkyTeam partner airlines in the hopes of joining the alliance, and that effort now seems to be paying off. 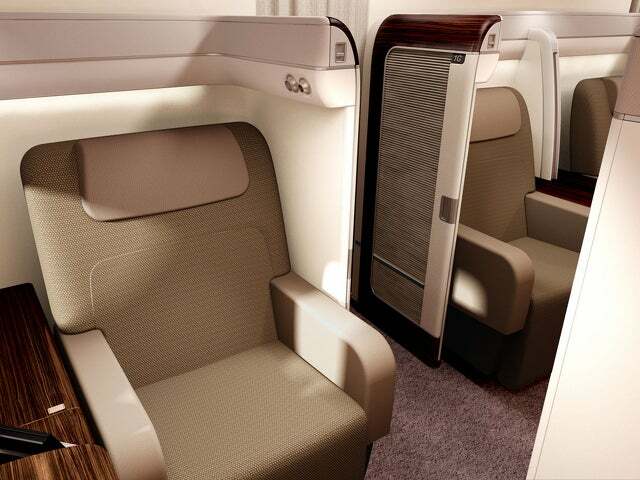 The airline did so by instituting a “Quantum Leap” initiative that included making over its long-haul fleet with some beautiful premium products that include a pretty jaw-dropping first class aboard new 777-300ERs as well as expanding its routes and services with hubs in Jakarta, Denpasar, Makassar, Medan, Surabaya, and Balikpapan. The airline currently flies to 64 destinations in 12 countries, including 40 domestic destinations and carries 19 million passengers annually – though it does not currently fly to the US. However, it does service various other destinations including Amsterdam and Bali, so there are some interesting flight options in there. Thanks to its joining, effective immediately, Garuda flyers will be able to earn and redeem miles when flying on SkyTeam member-operated flights, and members of other SkyTeam airlines’ frequent flyer programs can also earn and redeem miles when flying on Garuda Indonesia-operated flights. Discounted economy fares will earn as little as 25% mileage and 50% MQM’s while first class tickets will earn 125% mileage and 100% MQM’s. On the redemption side, flying to Southeast Asia from North America using Delta miles costs 80,000 miles roundtrip in economy and 120,000 miles in business class – remember, you can’t use Delta miles for partner first class redemptions. So you could fly Delta to Tokyo and then fly Garuda to Jakarta or Bali, for instance. If you wanted to take that Jakarta-Amsterdam flight, it would cost you 110,000 miles roundtrip in economy or 140,000 miles in business class. Though remember, Delta’s mileage redemption levels will be changing along with earning next year, so how many miles it will actually take after January 1, 2015, is still anyone’s guess. Flying Blue has been a partner with Garuda for about 6 months now, so you can look on the Air France site for award availability. If you have the Chase Sapphire Preferred, Ink Bold or Ink Plus, remember you can also transfer your Ultimate Rewards points to Korean Air at a 1:1 ratio instantaneously and redeem on Garuda, though booking Korean Air awards can get a bit complicated, and if you book a partner award, it has to be roundtrip. 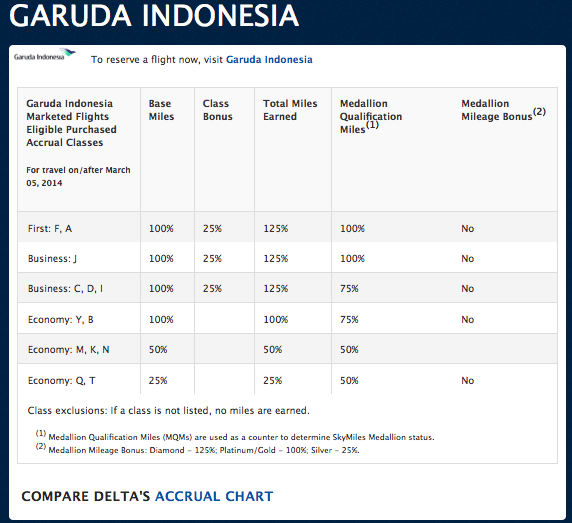 But at least, unlike Delta, they’ll let you redeem for a first class award if you want to try out Garuda’s. Though remember, Korean Air is raising SkyTeam partner redemption rates after April 1, so book before then. So you have some options here and if you are interested in booking awards, I’d do it sooner rather than later while award space seems to be pretty widely available (that’s usual when an airline first joins an alliance, like when EVA joined Star Alliance last year) but can dry up quickly – and you’ll want to do it before Korean’s redemption rates go up and potentially before Delta releases its new redemption schedule. For more on airline alliances and all the changes the three major ones are undergoing right now with members joining and departing, check out my recent post on Shifting Alliances.